Calla Lily Flower, as many other special wedding flowers, is an exotic flower, very sensual, graceful and suggestive. These flowers grow very easy in the garden and the caring for them can be very easy. 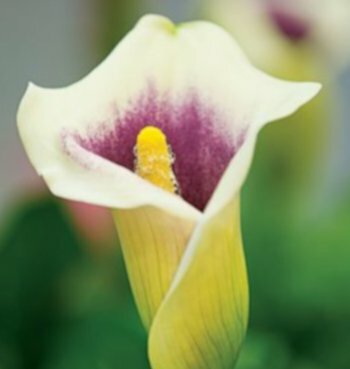 Native in South Africa, Calla Lilies may represent a perfect choice for your Wedding Bouquet. 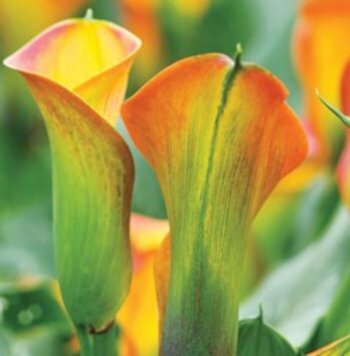 Callas always provide a grandious effect with their rich, generous colors and their magnificent trumpet-shaped flowers surrounding with a beautiful nuance of yellow finger-like stalk. Caring for the White Calla Lilies may be different than caring for the more colorful sisters, the hybrid calla liles. White Calla Lilies are semi-aquaitc, and their rhizomes thirst for watering holes. Callas blossom just 8 weeks after it was planted. Callas have a very beautiful arrow-shaped foliage. 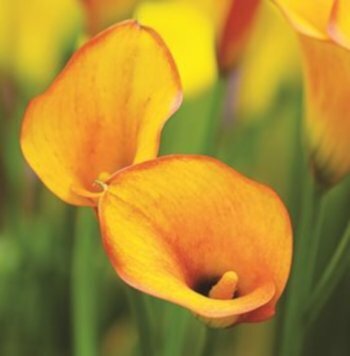 Callas offer a generous beautiful color range. 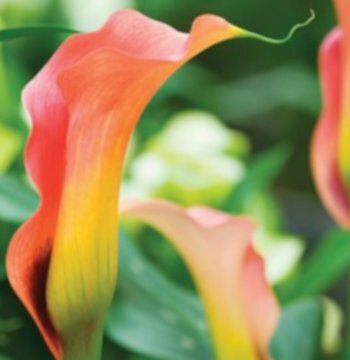 Known as the one of the most beautiful wedding flowers of all time, when Calla Lily Treasure is fully open, it is fair to say that it deserves the nickname “The Magnificent Beauty”, which was the meaning of it in the “Victorian Language of Flowers”. This beautiful flower provide a stunning bi-color beauty with a bright nuance of orange which is perfect blending with golden-yellow, atop elegant, mid-green, arrow-shaped. Your wedding bouquet will be just “Wow!”. 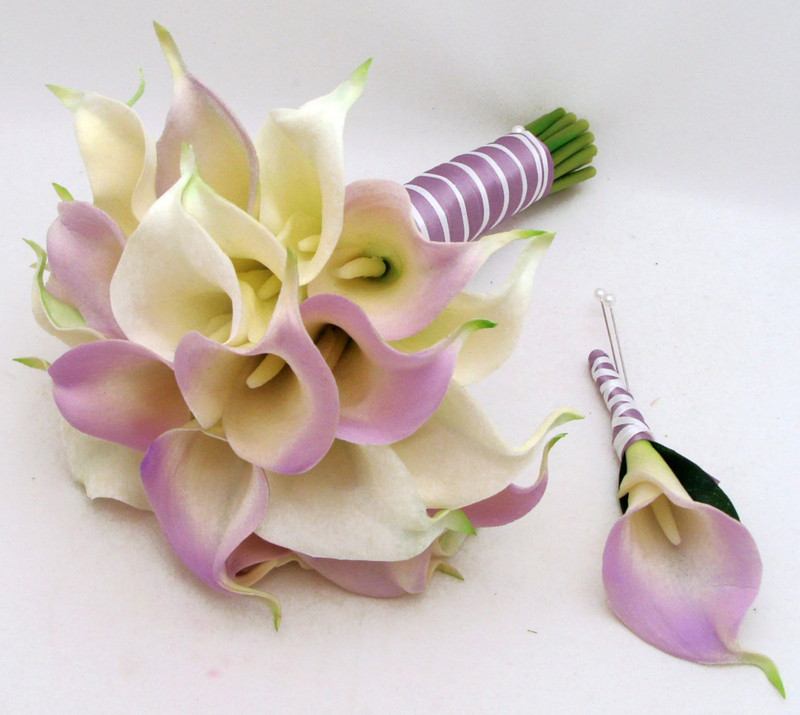 Like Mozart himself, Calla Lily Mozart can add gratitude and elegance to your Wedding Bouquet. Since the Art and also the Beauty represent an individual perception, it’s resonable to say that each Calla Lily have it’s own charm. 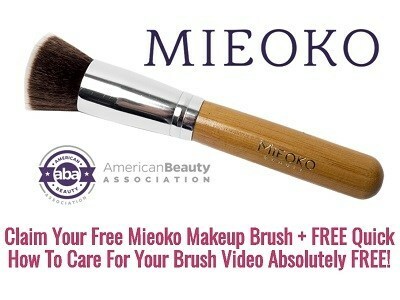 It have a lovely peach color which blend with a sublime nuance of salmon-pink. Calla Lily Picasso is the artist of any Wedding bouquet. The rosy purple color combined with a beautiful cream-yellow will make your Wedding Bouquet looks like a superstar.